WHISTLER, B.C. 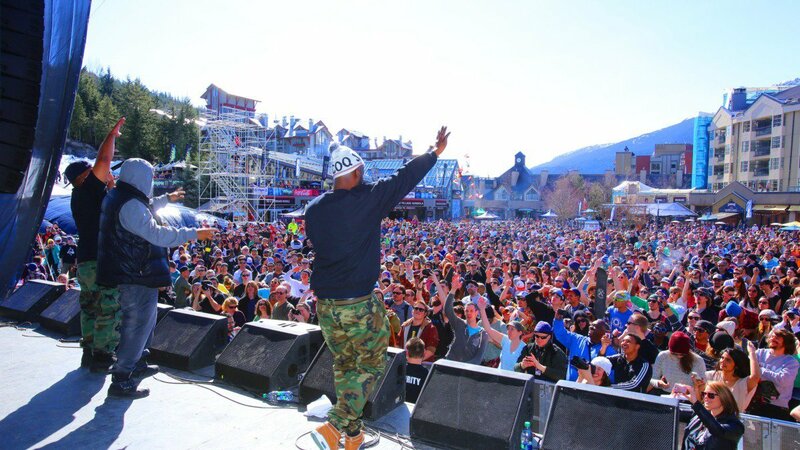 April 8, 2019 – Festival season is about to kick off in Whistler in a big way. Returning for its 24th year, the World Ski & Snowboard Festival (WSSF) launches April 10-14. The festival will showcase all the elements that make Whistler unique, taking it to the next level with free concerts, ski and snowboard competitions featuring Olympians and X Games champions, plus art, photo, film and speaker events that’ll tell the story of life in the mountains, and the people who make their home amidst them. In what promises to be an inspiring, interactive and intimate evening, singer-songwriter Michael Franti kicks off the WSSF festivities with a screening of his latest film followed by a Q&A and a live acoustic set. In Stay Human, Franti reflects on his personal journey facing adversity as a child, and how he came to find inspiration through six stories of extraordinary changemakers from around the world. It’s sure to be a packed house, attracting fans from the Sea to Sky through the Lower Mainland, and beyond. The next day, Franti & Spearhead take to the stage for a FREE concert at 4 p.m. in Whistler Village.